Let’s party! 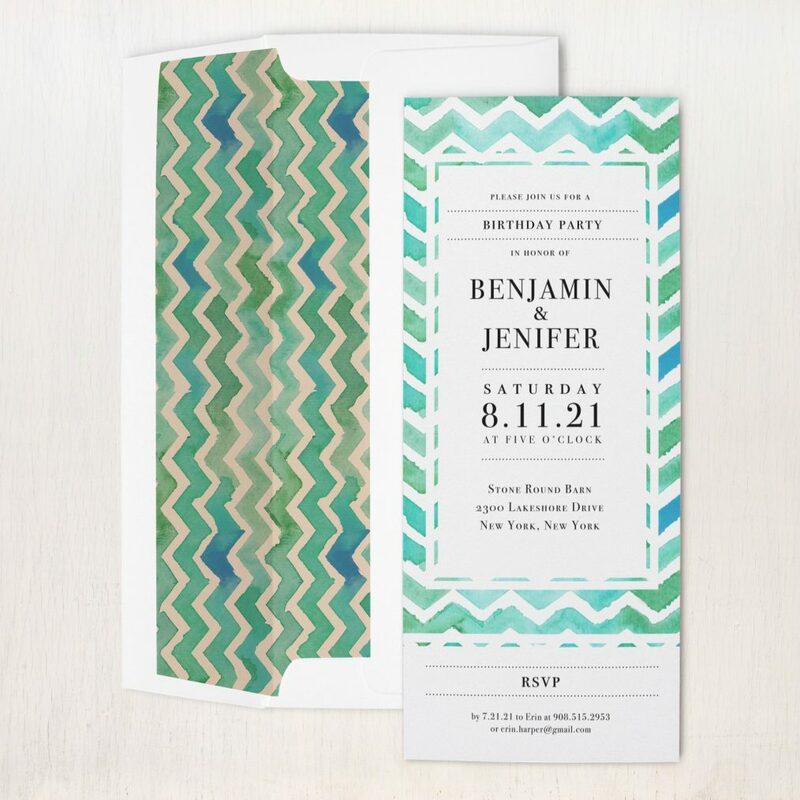 Set the tone for your celebration with modern & stylish custom envelope liner party invitations. Perfect for birthdays, graduations, anniversaries, holidays, engagements or bachelorette parties. Customize the wording to suit your occasion. Hosting a pool party, summer BBQ, afternoon tea or brunch? 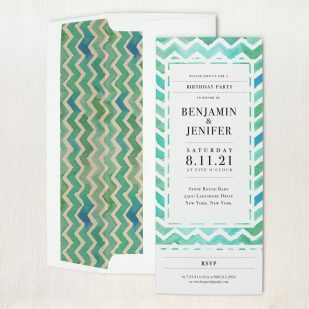 These invites are great for events big and small. Do you really need a reason to throw a party? Each invite is printed on our heavy shimmery white stock, paired with a matching envelope liner and white solid envelope. In a hurry? Add on envelope return and/or guest printing. It’s a real timer saver and completes the look. Welcome to our ordering page. Below you can enter your quantity (our order minimum is 30) and calculate your exact cost. We recommend creating an account to save and edit your selections. We will also collect your event wording and guest list (if printing on your envelopes). Up to 3 emailed proofs are included in the process. A designer will be in touch within 2 business days with your first proof.